The Civil War involved many famed generals and thousands of soldiers fighting on numerous battlefields. But what of the wives and daughters, mothers and sisters, who remained at home? How did the war affect them? The Maxwell family lives in strategically situated Salisbury, North Carolina, important for its railroad connections. Soon after the war breaks out, the governor orders a local abandoned factory be refurbished into a prison to house captured Yankees. Relive the war with Clara, who knits socks and feeds starving prisoners alongside her compassionate aunt; Mrs. Maxwell, who tends to the wounded pouring into town and conquers her own personal bitterness of war; and Jimmy, who, though too young to fight, transfers wounded from the trains to local hospitals, and, as the South loses manpower, becomes a young guard at the prison. 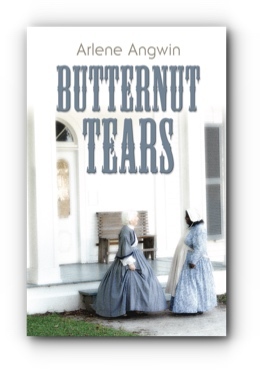 Share in their struggles to overcome hunger, cold, prison breaks and the advancing Union army, while maintaining the will survive. Who allows bitterness to taint the soul and who emerges from war’s horror with a pure heart and unbroken spirit? Arlene Showalter developed a passion for all things historical from years of extensive travel through the United States. Butternut Tears is the fruit of that passion.